THAW IN US RELATIONS RAISES EXPECTATIONS; Tentative signs of openness heighten hopes, but is the island ready to do business? COMPENSATION IS KEY TO FUTURE RELATIONS; What now for legal claims by those who lost property in the revolution? There is a new entry among Cuba’s roll of important dates. Alongside Fidel Castro’s 26th of July movement and the January 1 1959 “triumph of the revolution”, there is now December 17 2014. That was the day when Barack Obama and Raúl Castro, the US and Cuban presidents, announced that they wanted to normalise bilateral relations and end more than 50 years of cold war enmity. CUBA’S ECONOMY: DAY ZERO OR D-DAY? CUBA has two currencies and a mind-boggling number of exchange rates. So when President Raúl Castro set out four years ago to unify the currency system by 2016, it was not surprising that he gave few details on how he would achieve it. A year in advance, it is still not clear. Nor is there a fixed date. Cubans call the unknown day of reckoning Día Cero (“day zero”). The main difficulty is not unifying the two currencies per se. 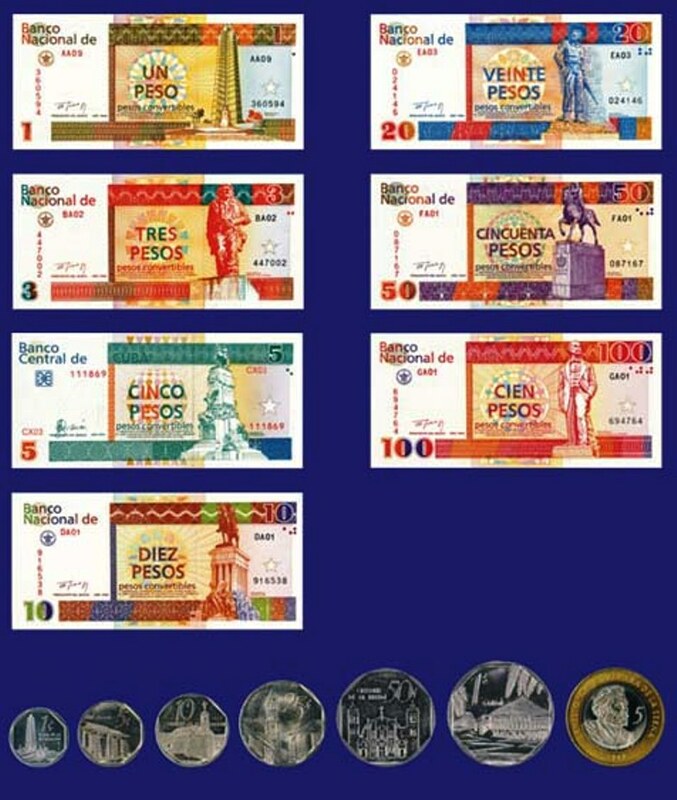 They are the Cuban peso, which most people use, and the convertible peso (CUC), worth about $1, which is a dollar substitute used by individuals in tourism, for remittances and in the private sector. It would be relatively easy for the average Cuban to scrap the CUC and conduct all transactions in pesos. Already many goods can be bought with either currency. The exchange rate for the peso is 24 per CUC, a level that has changed little since the CUC was created in 1994. But for the economy at large what looks like a relatively simple book-keeping exercise could have devastating consequences, because there is a parallel exchange rate, mostly hidden from the public, that is used in accounting by state-owned firms and foreign joint ventures. It is one peso per CUC (or dollar). The massively overvalued rate has been in place since the 1980s, when Cuba was subsidised by the Soviet Union. It creates huge distortions in the economy, allowing importers to buy a dollar’s-worth of goods for one peso, a wheeze that drains precious foreign exchange from the country. Cutting the overvalued rate to the cheaper one would be the equivalent of a 96% devaluation. This could bankrupt many state-owned firms, whose costs have been accounted for at the overvalued rate. Augusto de la Torre, the World Bank’s chief economist for Latin America, says he doesn’t know of any country that has started unification with such diverse exchange rates, and that it could be “suicidal” to join them in one big bang at 24:1. Vilma Hidalgo, vice-rector of the University of Havana, urges caution. She says many segments of the economy, such as exporters and firms that struggle to compete against subsidised imports, would benefit from devaluation, but others could be devastated. So Cuba is, typically, treading carefully. The government has started with hotels and the sugar and biotech industries. Though their new exchange rates are far from uniform, the most common is 10:1, which some think may be the target rate for unification. But even if the whole economy were to merge at that rate, it would still represent a 90% devaluation for most. Typically, a country embarking on such an upheaval would get financial help from the IMF and World Bank. 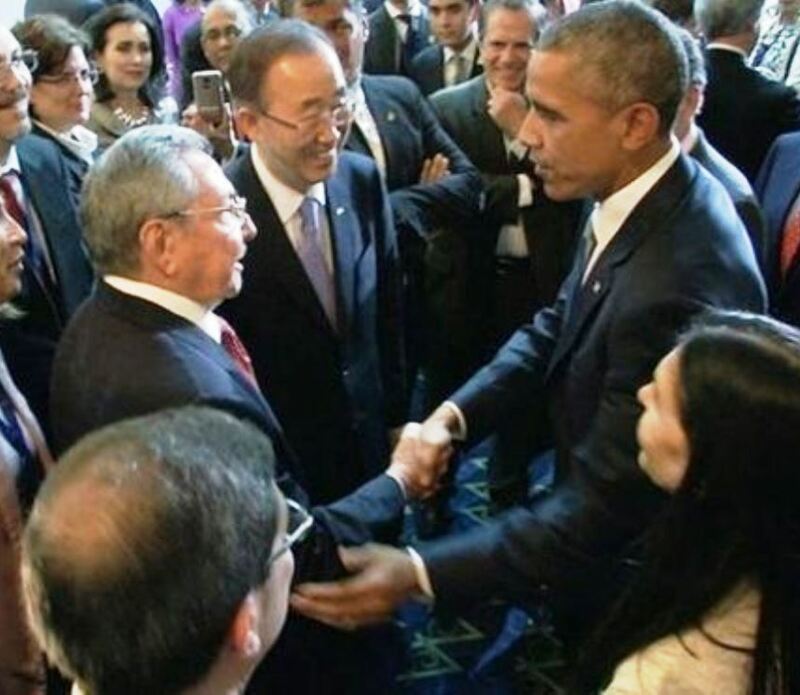 Because of its history of enmity with the United States, Cuba does not have that option. Ms Hidalgo hopes that rapprochement will spur enough trade and financial flows to support the new exchange rate. In the meantime, gradualism will remain the guiding principle, which means the distortions will persist. Expect many day zeroes. Three Peso in Moneda Nacional (CUP), worth about $US 0.12 in mid-2015. Three “Convertible Pesos” (CUCs), now ostensibly worth $US 1.00. “F___ing cops in Cuba are always busting everybody’s balls.” A man mutters this to me in perfect English as I walk down the once-elegant Calle 23 in downtown Havana. He is the very last customer waiting in a Kafkaesque line that wraps around the block and doubles back on itself twice. The afternoon is stiflingly hot. Two police officers are hassling a nearby teenager because he took off his T-shirt. “But that’s why things here are so safe,” the man continues, much louder this time. I’m confused until I realize another cop is standing behind me. He wandered over after spotting a Cuban nacional talking to me—an American gusano. “Very safe, very safe. You know, because the police do such a good job!” The officer gives him a long, hard stare, then wanders away. I take my place at the end of the line next to my new buddy, who says his name is Yaniel. Along with several hundred other Cubans, Yaniel and I are waiting to get into Coppelia, the iconic ice cream parlor created in 1966 by order of Fidel Castro and named for his then-secretary’s favorite ballet. Located across the street from the Habana Libre hotel, a one-time Hilton from which Fidel directed the revolution for three months in 1959, Coppelia has been called the “ultimate democratic ice cream emporium.” But, as I quickly find out, that isn’t exactly true. When the Cubans around me spot a foreign tourist standing with them in the endless queue, they’re quick to inform me that the line we’re in is for people using Cuban Pesos—which is to say, most Cubans. As a woman in curlers and a tube top explains, people holding Convertible Pesos, the country’s other currency, aren’t forced to endure such Socialist indignities. Foreigners, like me, carry Convertible Pesos. She then points to a tiny building surrounded by a well-kept patio and leafy trees offering respite from the blistering mid-summer sun. 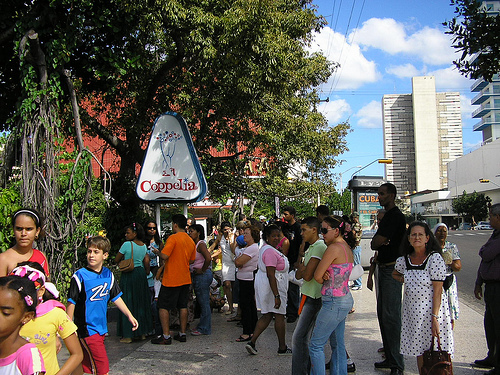 There is no line at this Coppelia stand and, sitting in the shade are several happy, relaxed-looking people, enjoying their ice cream. This, in a nutshell, is what having two currencies has done to the already dysfunctional Cuban economy for the past 20 years. The good news is that the government is finally attempting to fix it. The bad news is that millions of Cubans could lose their life savings in the process. 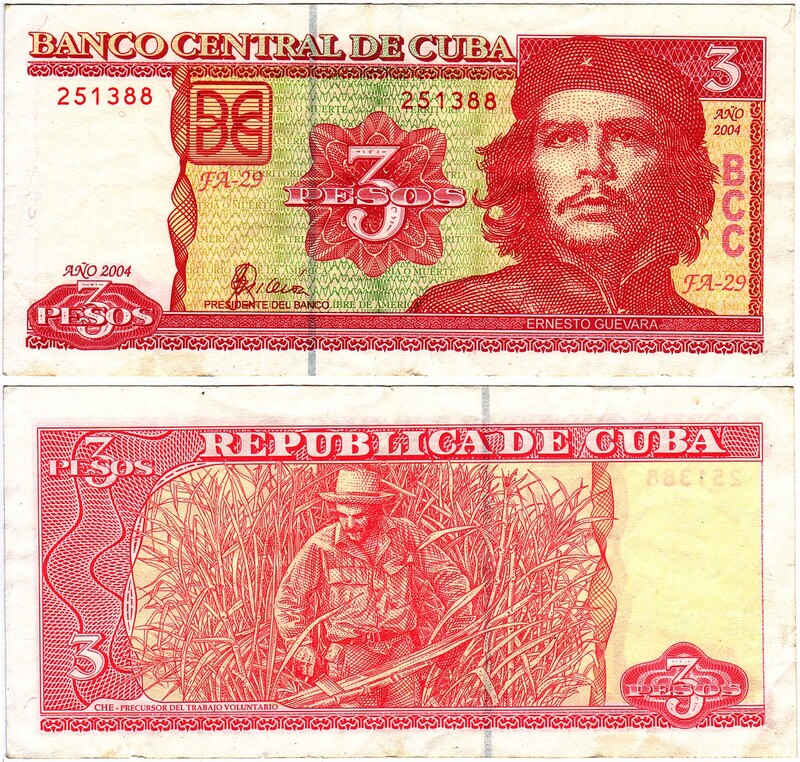 Cuba is the only country on earth that prints two currencies. When the Soviet Union fell in the early 90s, Havana’s subsidies from the USSR were cut off. As a result, Cuba suffered a devastating 35 percent drop in its GDP. The situation on the ground was dire. In Con Nuestros Propios Esfuerzos (With Our Own Efforts), a 300-page volume of everyday survival strategies distributed in the early 90s by the publishing arm of the Revolutionary Armed Forces, Cubans were offered helpful instructions for how to make shampoo out of rum and “sausages” made of nylon stockings stuffed with seasoned grapefruit rind. Desperate for hard currency, Fidel Castro grudgingly legalized use of the US dollar in 1993. People working in the tourism industry were allowed to earn—and keep—tips given to them in foreign currency. In addition, a resolution by the National Bank of Cuba permitted some Cuban citizens to own foreign currency; the list included government officials, artists and athletes paid overseas, airline and fishing vessel crews, and employees of foreign embassies or organizations. Castro’s ultimate goal was to get greenbacks into the state’s coffers. In order to capture as many of the now-circulating dollars as possible, the Cuban government promptly opened a network of so-called “dollar stores,” which carried otherwise-impossible-to-find goods available only to people who used American dollars to pay for them. The Cuban government would purchase, say, cans of Pringles and bottles of Gatorade from American manufacturers thanks to a humanitarian loophole in the then-30-year-old US trade embargo. Then the government would sell the Pringles and Gatorade to citizens at a 240 percent markup. The state kept the profit. However, the trade embargo made it all but impossible for the Cuban government to do much with their American dollars, especially after the US Federal Reserve fined Swiss bank UBS $100 million for its dealings with the regime. And so, in 2004, Fidel Castro once again outlawed the US dollar and popularized the Convertible Peso, or CUC, which had been in limited use since 1994. CUCs (pronounced “kooks”) are worth one US dollar, and are used primarily in domestic tourism and foreign trade. Cuban Pesos, or CUPs (pronounced “coops”), are worth 1/24th of one CUC—about four US cents—and are what the government uses to pay Cuban salaries. (The government owns just about everything in Cuba, and so nearly every Cuban is a government employee.) Doctors, who are employed by the national health system, earn a little less than 800 CUPs per month. That’s about $30. Thus, in theory, a cabdriver who gets tipped by foreign tourists in CUCs can earn a cardiologist’s monthly income in a single shift. And since it’s against the law for anyone with a professional degree—doctors, lawyers, accountants, etc—to ply their trade in business for themselves, a domestic brain drain has decimated Cuba’s educated class. “Basically, the incentive structure that shapes people’s behavior has become completely perverted and dysfunctional,” says economist Arch Ritter, a professor at Ottawa’s Carleton University who has been studying Cuba for almost 50 years. People with access to CUCs live far more comfortably than those without. Buses that accept CUCs look like the ones you take to pick up your rental car at American airports. Buses that accept CUPs are Soviet-era, exhaust-belching beaters. Essentials like cooking oil and toiletries are easily purchased with CUCs, while CUP earners like Mario, a parking attendant I met one afternoon behind the Habana Libre hotel, ask tourists if they have extras. After I gave Mario a Right Guard Sport Stick and two bars of Irish Spring, he noted that we both have a 36-inch waist. So he asked for my belt. Cuban President Raúl Castro has quite rightly called the dual currency “one of the major obstacles to the progress of the nation.” However, he has also said, “I was not chosen to be president to restore capitalism to Cuba. I was elected to defend, maintain, and continue to perfect socialism.” So it’s no surprise that the government has announced plans to split the difference and do away with the CUC while retaining its hold on industry and commerce in the country. In Cuba, however, economic decisions aren’t made based on supply and demand, and “the market” as Adam Smith knows it does not exist. Instead, reforms are made with the stroke of a pen, so the government could simply, say, change the exchange rate between the CUC and the CUP from 24-to-1 to 12-to-1. This would instantly halve the life savings of countless Cubans who’ve spent two decades socking away CUCs, to say nothing of the Zimbabwe-like inflation that could strike the economy after such a move. In the years following the collapse of Argentina’s economy in 2001, the government nationalized private pension funds, swiping roughly $24 billion of the citizenry’s money. Argentinians’ dollar-denominated bank accounts were frozen, and withdrawals were severely limited before everyone was forced to convert their savings into comparatively worthless pesos. The result were protests, a flood of court cases, violent riots, a worsening economic crisis, and a two-week period in which Argentina had five different presidents. Raúl Castro has declared that the transition will not hurt holders of either CUCs or CUPs. But the concept of protecting individual wealth has no place in Cuba—a fact specifically stated in the Cuban Communist Party’s Lineamientos (Guidelines). And as Mauricio Claver-Carone, executive director of the right-leaning Cuba Democracy Advocates points out, the Cuban government could really use the money. Expropriations and nationalizations of private property have occurred repeatedly since the beginning of the Castro era. People leaving the island in the early days of post-Revolutionary Cuba were forced to give up their property and assets in addition to their rights as citizens. Those who stayed were soon relieved of 42 percent of their wealth in a top-down currency revaluation. In recent years, the CUC has been devalued in pursuit of stabilizing government debt, and hard currency accounts have been periodically frozen and restricted when it has suited the regime. The economy of Cuba’s main benefactor, Venezuela, is thought by many economists to be in the midst of collapse. Just as the Soviet Union’s was 20 years ago. Carlos, like 4.6 million of the 5 million people in Cuba’s labor force, works for the state. A lighting and set designer who lives in the “upscale” Vedado section of Havana, the 74-year-old has accompanied traveling Cuban theater and dance productions all over Latin America and Eastern Europe. The government pays Carlos relatively well for his work; he earns roughly what a doctor earns. Yet even though he is relatively privileged by comparison, Carlos’s monthly salary covers perhaps half a month’s worth of expenses. And so, displaying the optimistic, opportunistic trait known in Cuba as resolver, Carlos makes up for the shortfall by earning CUCs on the side. Carlos runs a small bed-and-breakfast—known in Cuba as a casa particular—out of his art-deco townhouse. He rents out two rooms—he could rent more, but the government imposes limits on how many rooms can be occupied at once—and charges 30 CUCs a night per room (the authorities also set maximum room rates). On paper, this means Carlos can multiply his monthly salary several times with just a handful of bookings. The reality, however, is another story. Over the course of the three nights I stay with him, Carlos explains how it works. He pays about 300 CUCs a month to the government for the right to run his casa, whether or not he rents a single room. In other words, Carlos needs to fill one bed for 10 nights a month just to break even with the government, to say nothing of his own expenses. Still, the fact that he’s even still in business means Carlos is ahead of the game. One woman I met selling salsa CDs along Calle 12 in Vedado told me she’d set up her home as a casa particular, but was forced to shut down after just two months because she’d gone broke paying the government fees. Attracting guests presents a whole other set of challenges. Advertising in Cuba is against the law, and few people are permitted Internet access in their homes, making it all but impossible to attract tourists looking for accommodations. Carlos is among the lucky Cubans who has internet access in the form of an old HP laptop and creaky dial-up connection, allowing him to maintain a web page to market himself to tourists. First legalized in 1997, casas particulares generate intense competition among Cubans eager for precious CUCs. Mercedes, a rheumatologist who rents me a room in her perfectly preserved colonial mansion in the touristy hamlet of Trinidad, has to contend with dozens of other nearby casas. But in addition to going head to head with each other, small-business owners like Mercedes and Carlos must also compete against Gaviota S.A., a government-run tourism operation overseen by members of Raúl Castro’s inner circle. A division of the Cuban Revolutionary Armed Forces, Gaviota’s tens of thousands of hotel rooms across the island generate the equivalent of almost a billion dollars a year. The money goes directly to the government. But the big hotels that divert business away from people like Carlos and Mercedes also give other people—housekeepers, bellhops, bartenders—the chance to obtain CUCs for themselves. And state-run entities (particularly ones with bars, restaurants, and plenty of cash on hand) offer opportunities for all manner of graft, theft, and other types of financial chicanery that make up a robust underground economy in Cuba. It’s impossible to put a dollar value on the amount of money that’s stolen or hidden from the state, but economist Arch Ritter estimates that at least 95 percent of Cubans do it. Isoyen worked at a Soviet-built, Gaviota-run beach hotel on Cuba’s Caribbean coast until he was furloughed earlier this year. When I met him, he told me it wasn’t the loss of his CUP salary that he missed—it was the CUC tips he received from tourists. A college graduate, Isoyen can only use his accounting degree to work for “the people,” making self-employment in his chosen field an impossibility. Living with his parents makes running a casa impossible, so he plans to use his resolver—and the CUCs he socked away—to open an ice cream stand. For the elderly docents working at Havana’s Museum of the Revolution, resolver means engaging in a bit of basic arbitrage. 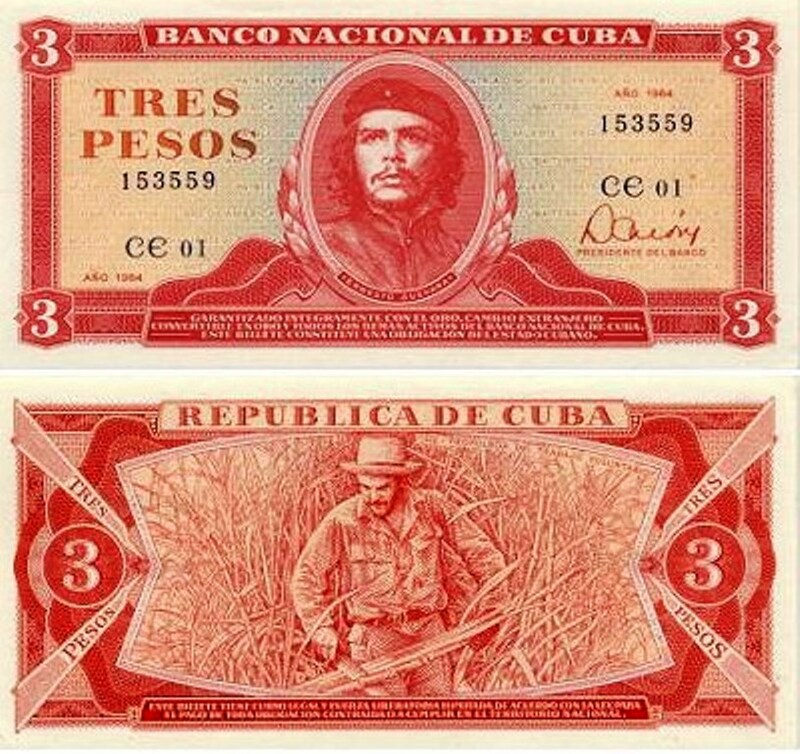 After showing me Che Guevara’s gun in a glass display case, one of them tries to sell me a three CUP note bearing Che’s likeness as a souvenir. She asks one CUC for the bill. That’s a tidy 88 percent profit. Resolver can mean a lot of things. His name is Rafael, and he says he’s a medical student, though he seemingly fails to understand my English only when I ask about the specifics of his education. He’s bald and wiry, and he has a homemade 13 tattoo on the webbing between his right thumb and forefinger. I like him immediately. Rafael claims to be a licensed tour guide. He even has an official-looking ID card pinned to his shirt. He charges me 20 CUCs—the equivalent of a month’s salary at a typical government job—for a two-hour walking tour in which he listlessly points out a few local sites like the Plaza de la Revolucion and the clinic where soccer legend Diego Maradona supposedly kicked his cocaine addiction in the early 2000s. Cuban citizens hope that Raúl Castro will tackle financial reform as artfully as Cuban citizens tackle financial survival. But the historically awful performance of the Cuban economy under the tutelage of the Castros doesn’t inspire much confidence. Nonetheless, Ernesto Hernández-Catá, former Deputy Director of the International Monetary Fund, has hope. Whether it turns out to be a failure or a success, the general consensus in the West remains that, while monetary reform is a positive development, Cuba needs to overhaul its entire financial system from top to bottom before real change can take place. While Secretary of State John Kerry called Cuba’s latest slate of reforms a good start—on top of the economic liberalizations, Cubans can now travel outside the country without an exit visa—he said Havana must do more. In La Reforma Monetaria en Cuba Hasta el 2016: Entre Gradualidad y “Big Bang“ (Monetary Reform in Cuba Until 2016: Between Gradualism and the “Big Bang”), Pavel Vidal Alejandro and Omar Everleny Pérez Villanueva analyze the benefits and costs of the eventual devaluation of the official exchange rate for the Cuban peso, the main measure the Cuban government will employ to achieve the goal of monetary unification in 2016. Possible policy responses and alternatives regarding devaluation of the exchange rate are evaluated. The authors conclude that, as far as is possible, the best strategy for the Cuban currency reform is a gradual devaluation and not the application of a “big bang” approach. However, given the huge gap between the multiple exchange rates, sharp depreciation in the value of the Cuban peso will be required at times. Este ensayo fue preparado para ser presentado en una serie de talleres de expertos sobre el cambio económico Cubano visto desde una perspectiva comparativa, organizado por la Iniciativa Latinoamérica en el programa de Políticas del Exterior de la Institución Brookings, y el Centro de Estudios de la Economía Cubana y el Centro de Investigaciones de la Economía Internacional en la Universidad de la Habana. Fue presentado inicialmente en un seminario de expertos en Havana, Cuba el 26 de septiembre del 2013 y fue revisado posteriormente. Los ensayos preparados por esta serie serán recopilados y publicados por Brookings en el 2014. Este ensayo refleja solamente las opiniones de los autores. In Exchange Rate Unification: The Cuban Case, Augusto de la Torre and Alain Ize take an international perspective in examining the challenges Cuba faces in unifying its exchange rate, and compare various options to meet this objective. Since 2011, the Cuban authorities have placed exchange rate unification as one of their top policy priorities. Indeed, the current dual exchange rate system—whereby a one-to-one exchange rate for the “convertible peso” coexists with a twenty four-to-one exchange rate for the “Cuban peso” (both against the U.S. dollar)—introduces severe and pervasive distortions with costly consequences for resource allocation and the growth potential of the Cuban economy. At the same time, the unusually large (by international comparison) spread between the two exchange rates exacerbates the transition costs and thus constitutes one of the main reasons delaying their unification. De la Torre and Ize argue in favor of a fast unification approach, cushioned during a pre-announced transition period by lump-sum taxes and subsidies applied on an enterprise-by-enterprise basis. By allowing for relative price changes to operate in full from the start, the immediate unification would maximize efficiency gains. At the same time, by cushioning the Cuban economy from potentially large transitional pains—including fiscal revenue losses, productive dislocations, inflationary outbursts and distributional effects—the lump-sum taxes and subsidies (to be gradually phased out) would ease the transition, thereby boosting policy credibility. However, to ensure the viability of the scheme and the rapid materialization of the efficiency gains, important habilitating reforms would be needed, particularly regarding the governance of state enterprises. The Association for the Study of the Cuban Economy established a Blog some months ago. It promises to be the locus of timely and serious economic analyses and commentaries on the Cuban economy. The Table of Contents as of January 6 2013 was as follows. Each article is linked to the original location on the ASCE Blog. By Emilio Morales and translated by Joseph L. Scarpaci, Miami (The Havana Consulting Group). The Cuban government finally announced the elimination of its dual currency system in what will be one of the most challenging reforms to the economic model. Great expectations are riding on this new, single currency, which will have a great impact on the island’s society and economy. Said measures will change the prevailing lifestyle of the past nearly 20 years for 11.2 million Cubans. That consisted of getting paid in a devalued ‘soft’ currency yet purchasing essential goods and services daily in a ‘hard’ currency, one used by tourists or sent by loved ones from abroad. Authorities say they will deploy the new measure in stages, and the timeline will begin with government businesses. A first stage will entail specifying the legal framework to support the move to a single currency. Financial information systems and adjustments to accounting systems are required as well. Accountants and other personnel from across the country will require some training to handle the transition. This important announcement, however, fails to specify firm dates and related details. News of the single currency system no doubt aims to calm the nerves of those who have saving accounts in convertible pesos (CUCs), international currencies, and Cuban pesos (CUPs). Still, the government will continue to apply the current policy of both subsidizing retail prices, and subsidizing those Cubans who require special government assistance. Both subsidy strategies, though, are contradictory. On the one hand, a single currency means that one of those subsidies will be eliminated. Therefore, bank accounts will lose some value when they are rolled over to a single currency, whenever and whatever that might be. On the other hand, in order to unify the currencies, sate subsidies will have to disappear or be reduced to a bare minimum, and that will be the hardest measure for the Cuban government to carry out. How will authorities face the dilemma of protecting the most vulnerable groups once this process takes holds? The list of subsidies is extensive: utilities (electricity, telephone, gas, potable water) and the dwindling list of sparse, yet essential products provided by the longstanding ration book (libreta). Other subsidized public services include transportation, all levels of education, health care, and the sale of prescription drugs. Do conditions exist to eliminate or drastically reduce these subsidies? Do the results achieved by the reforms carried out thus far justify these measures Will the government allow the private sector to expand in order to minimize the pain this difficult process will unleash? All of this is uncertain. As the details of this currency matter become known, we will be able to assess the real impact that the elimination of the dual currency will have. Until then, it remains a uncertain. The government announcement also fails to specify how it will adjust the exchange rate in the process. 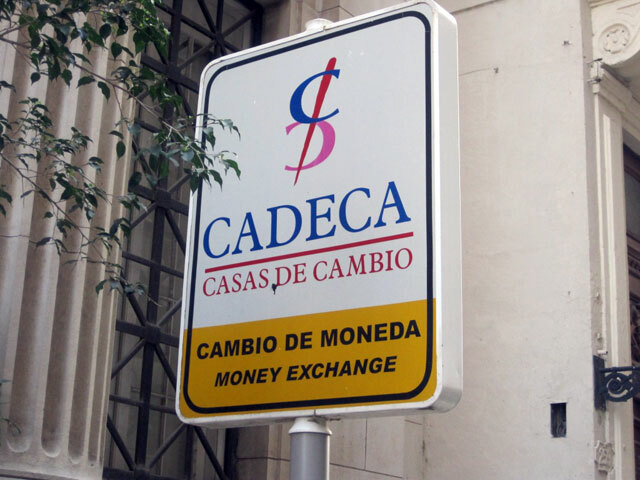 We anticipate an immediate and sharp rise in the black-market dollar; perhaps two or three times for what the dollar will officially sell at the state-run CADECA money-exchange houses. CADECA exchange rates currently value 25 Cuban pesos (CUC) for a single convertible peso (CUP). It is likely that in a few weeks the government will adjust this rate as a first step. That will be the first test of the impact this monetary policy will have in the marketplace and in everyday living. It will no doubt shape how the rest of the reforms unfold. For instance, reducing the exchange rate to 1 CUC for 18 CUPs would lower the ceiling on the black market and avoid early speculation. At the same time, the move would increase workers’ purchasing power if prices set in dollars in state stores remain unchanged. In this regard, the 240% mark up that the government automatically places on consumer goods sold in the so-called ‘dollar stores’ (e.g., hard-currency CUC sales) will give the government some cushion in absorbing these costs because it is a handsome margin. Foregoing some state profit will increase consumer purchasing power for ordinary Cubans. But one thing is a fine wine and the other is just plain table wine, which gives pause and makes us wonder these first-stage measures really will jump start the process. If the impact will be great on the Cuban people, it will be no less salient for investors residing on the island. Regardless of the fine points these changes unleash, foreign joint-venture companies with investments in Cuba will be affected in some fashion. The bottom line for these companies will be affected by the costs, exchange rates and prices of the products they produce there. Profit margins will likely diminish somewhat until the currency changes stabilize, and production cycles catch up other changes in the monetary system. Even if the transition is relatively smooth, it is likely that investment will slow down or simply be deferred until the most challenging part of the transition is over. It is noteworthy that over the past ten years, almost 200 joint-ventures have closed in Cuba, particularly since the freeze on repatriating profits took place in 2008, which was not fully over until 2010. On top of that comes the anti-corruption campaign carried out over the past four years. Government efforts to attract new waves of investment to the upcoming duty-free zone of Mariel port (just west of Havana) will be challenged by these proposed banking measures. The uncertainty caused by the positive and necessary combining of the island’s currency will not be attractive to investors, at least until the process is fully implemented. We can only hope that efforts to modernize the Cuban economy through these fiscal and monetary proposals –the most daunting measures proposed in recent economictimes—achieves its goals for the good of the Cuban people and does not become a huge disaster. Havana, 22 octubre, 2013 (Café Fuerte) — El gobierno cubano anunció este martes la puesta en marcha de la unificación monetaria y cambiaria en el país, un paso decisivo en las transformaciónes impulsadas por Raúl Castro. El Consejo de Ministros acordó “poner en vigor el cronograma de ejecución de las medidas que conducirán a la unificación monetaria y cambiaria”, indicó una Nota Oficial aparecida en el diario Granma. “Ninguna medida que se adopte en el terreno monetario, será para perjudicar a las personas que lícitamente obtienen sus ingresos en CUC [pesos convertibles] y CUP [pesos cubanos]“, enfatizó la declaración. Aunque no se precisa una fecha exacta para la arrancada del proceso, todo indica que la implementación de las primeras medidas será inmediata, comenzando por el sector empresarial y las instituciones estatales. En Cuba conviven dos monedas: el CUP, con el que la población cobra sus salarios y paga productos y servicios básicos, y el CUC, que es equivalente a 24 pesos cubanos y equiparable al dólar. La dualidad monetaria existe en el país desde la autorización del dólar en agosto de 1994. El texto expresa que los cambios en esta primera etapa afectarán a los organismos y entidades jurídicamente establecidas, a fin de “propiciar las condiciones para el incremento de la eficiencia, la mejor medición de los hechos económicos y el estímulo a los sectores que producen bienes y servicios para la exportación y la sustitución de importaciones”. El acuerdo fue analizado en una reunión del gabinete gubernamental, que sesionó el pasado sábado bajo la presidencia de Raúl Castro. “La unificación monetaria y cambiaria no es una medida que resuelve por sí sola todos los problemas actuales de la economía, pero su aplicación es imprescindible a fin de garantizar el restablecimiento del valor del peso cubano y de sus funciones como dinero, es decir de unidad de cuenta, medio de pago y de atesoramiento”, argumentó el documento. Se comenzará por un periodo de preparación de condiciones que permitirá la elaboración de las propuestas de normas jurídicas, los diseños de los cambios de los sistemas informáticos encargados de los registros contables y los ajustes en las normas de contabilidad. Esta etapa será esencial igualmente para la capacitación de las personas que deben acometer la ejecución de las diferentes transformaciones.El proceso de unificación monetaria conservará intactos los ahorros de las personas en los bancos cubanos en CUC, otras divisas internacionales y CUP. Continuará aplicándose la política vigente de subsidios a precios minoristas y a personas donde sea necesario, en tanto las condiciones económicas del país lo requieran. El CUC al igual que el CUP son monedas cubanas emitidas por el Banco Central de Cuba y mantendrán su total respaldo. En lo adelante se continuará extendiendo la posibilidad que hoy existe de aceptar en las tiendas que venden en CUC, pagos en CUP con tarjetas magnéticas denominadas en esta moneda. Experimentalmente en lugares seleccionados se po-drán efectuar pagos en efectivo en CUP por el equivalente calculado a la tasa de cambio de CADECA de 25 CUP por 1 CUC. La eliminación de la dualidad monetaria era un objetivo anunciado desde que abril del 2011, cuando el VI Congreso del Partido implementó las nuevas directrices para la actualización del modelo económico del país. La reunión del Consejo de Ministros se centró en el análisis de temas vitales para la economía del país y aprobó el perfeccionamiento del Ministerio de la Agricultura, tanto en su área empresarial como presupuestada. Reproducimos a continuación el texto íntegro sobre el proceso anunciado para eliminar la dualidad monetaria. Experimentalmente en lugares seleccionados se po-drán efectuar pagos en efectivo en CUP por el equivalente calculado a la tasa de cambio de CADECA de 25 CUP por 1 CUC. De acuerdo con el avance de la ejecución del cronograma, se irán dando a conocer los detalles sobre las medidas que en cada momento correspondan, tanto a los especialistas de las entidades que deben participar en su implantación, como a la población. Ernesto Hernández-Catá has agreed to have his recent essay “The Growth of the Cuban Economy in the First Decade of the XXI Century: Is it Sustainable?” posted on this Web Site. It was written for presentation at the forthcoming 22nd annual meeting of the Association for the Study of the Cuban Economy in Miami in August 2012. The full study is available here: Ernesto Hernandez-Cata, “The Growth of the Cuban Economy in the First Decade of the XXI Century”. Income and production increased rapidly in Cuba during the first decade of the XXI century. Growth was fueled by a surge in government spending and a boom in services exports and investment—all of them made possible by rapidly increasing in payments received from Venezuela. The expansion in both domestic and foreign demand during the decade did not visibly result in higher inflation or in a massive deterioration of the country’s external position, partly because potential output also increased rapidly reflecting the strong performance of investment. (In this connection, it is a good thing that part of the Venezuelan money was used to finance capital formation rather than consumption.) However, capacity utilization also increased markedly, and the gap between actual and potential GDP must have dwindled considerably, leaving little room for supply to respond to additional demand pressures. While there was no explosion in the current account of the balance of payments for most of the decade, severe pressures did emerge in 2008 and the authorities had to restrict imports, ration foreign exchange, and take measures that damaged the nation’s reputation in world financial markets. The Central Bank also intervened on a large scale to keep the exchange value of the Cuban peso fixed—a policy that cannot continue forever. 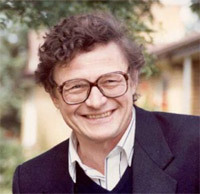 [i] At the Conference on Russia’s Economic Reform held in Stockholm in June 1994. In response to an injunction by Jeffrey Sachs to suppress hyperinflation by fixing the value of the Ruble and borrowing massive amounts from abroad. Ernesto Hernandez-Cata was born in Havana, Cuba in 1942. He holds a License from the Graduate Institute of International Studies in Geneva, Switzerland; and a Ph.D. in economics from Yale University. For about 30 years through, Mr. Hernandez-Cata worked for the International Monetary Fund where he held a number of senior positions, including: Deputy Director of Research and coordinator of the World Economic Outlook; chief negotiator with the Russian Federation; and Deputy Director of the Western Hemisphere Department, concentrating on relations with the United States and Canada. When he retired from the I.M.F. in July 2003 he was Associate Director of the African Department\, where he dealt with Ethiopia, Guinea, Sierra Leone and the Democratic Republic of Congo, among other countries. He was also Chairman of the Investment Committee of the IMF’s Staff Retirement Plan. Previously he had served in the Division of International Finance of the Federal Reserve Board. 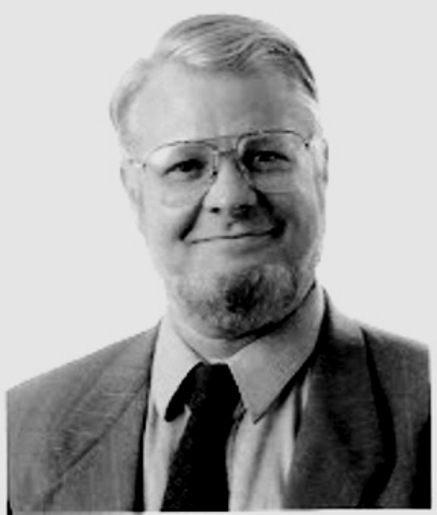 From 2002 to2007 he taught economic development and growth at the Paul Nitze School of Advanced International Studies of the University of Johns Hopkins. Previously he had taught macroeconomics and monetary policy at The American University.